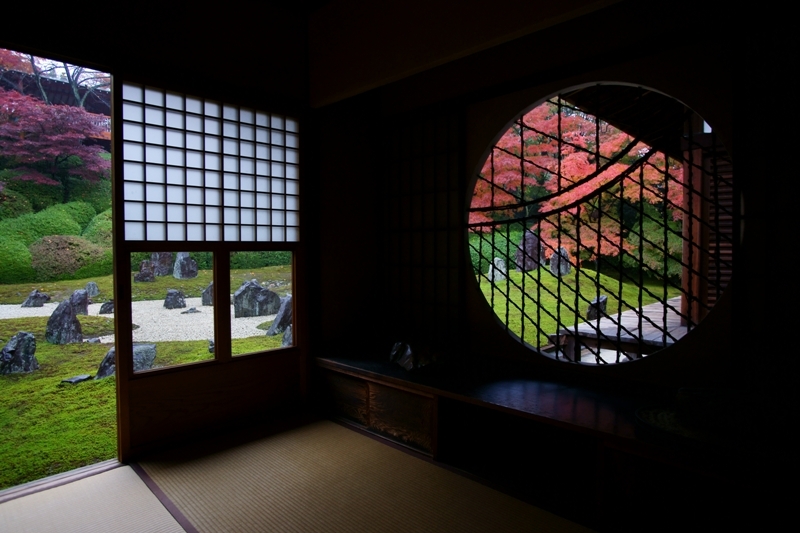 A typical sight in Kyoto is often Zen temple in fact. Kinkakuji, Ginkakuji, Nanzenji in Kodaiji, and Tofukuji are also Zen temple. What is the appeal of such Tofukuji Temple which acts not only on the historical and cultural values ​​of the buildings and garden, but also on the hearts of visitors? Recently, the word “Zen” has become more and more familiar. Probably, you have opportunities to touch Zen in practical books and magazines that summarize the teachings of Zen, special features of the site, etc. Beyond the stoic image “Zazen Training” (meditation), there seems to be an increasing number of people who take Zen teaching into life and regard it as one of lifestyle. Speaking of Tojukuji which is such a Zen temple, “Tsuten-kyo Bridge” and “Honbo garden”. The scenery from the “Tsuten-kyo Bridge” where more than 2,000 autumn leaves fill up in red and the garden which landscape gardener Mirei Shigemori handled are too famous. “Honbo garden” is in the building called “Hojo” (abbot’s quarters), originally a monk’s residence. 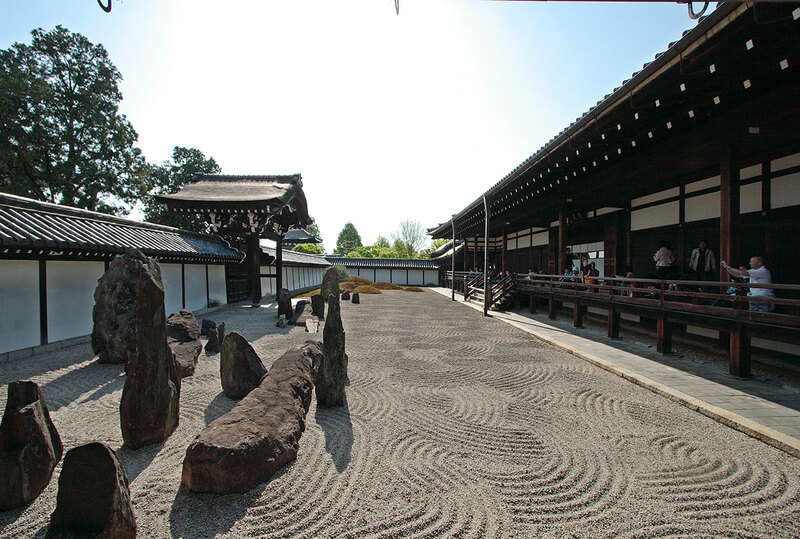 “Honbo garden” consisting of four gardens arranged in the east, west, north and south. 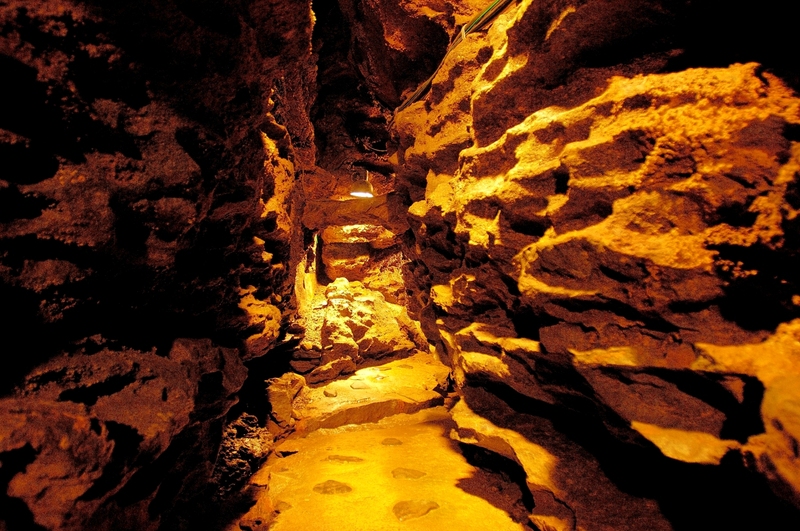 As you cross from the Kuri (monks’ living quarters) to the hallway, the south garden will soon jump into your eyes. 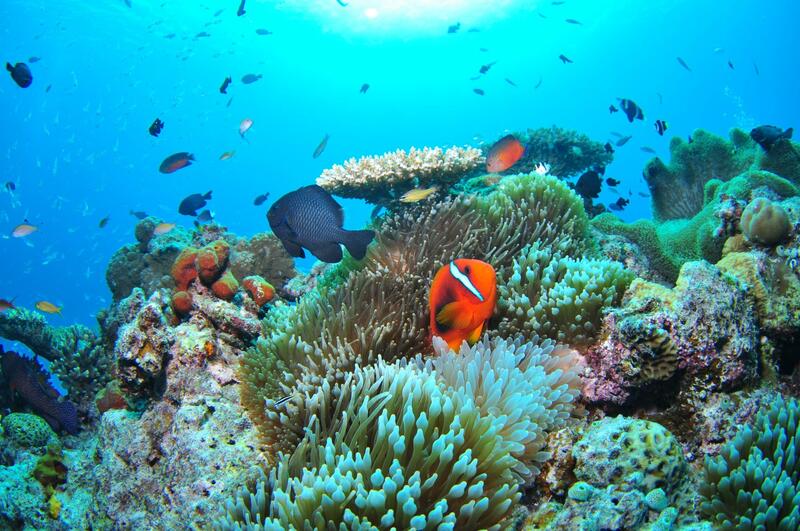 You will be amazed at the dynamic arrangement of megaliths and rocky stones. 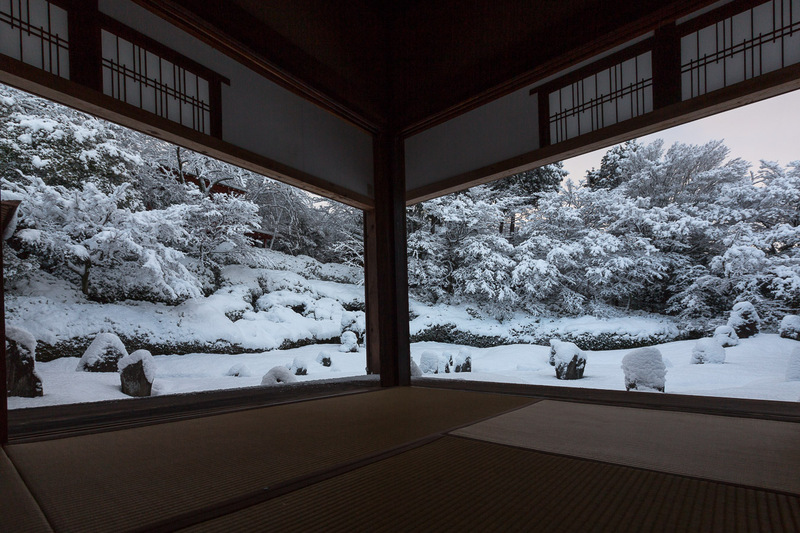 It brings a powerful life force to a quiet Zen garden by an unprecedented method. In the temple of Tofukuji, there is “Sengyokukan” which is a valley crossing the east and west, three bridges of Gaun-kyo Bridge, Tsuten-kyo Bridge, Engetsu-kyo Bridge crossing over the river are bridged. Tsuten-kyo Bridge is a bridge connecting the main hall and “Kaisan-do Hall”, originally bridged so that the priests coming and going do not descend to the valley, but now it is famous as the best spot for autumn leaves. 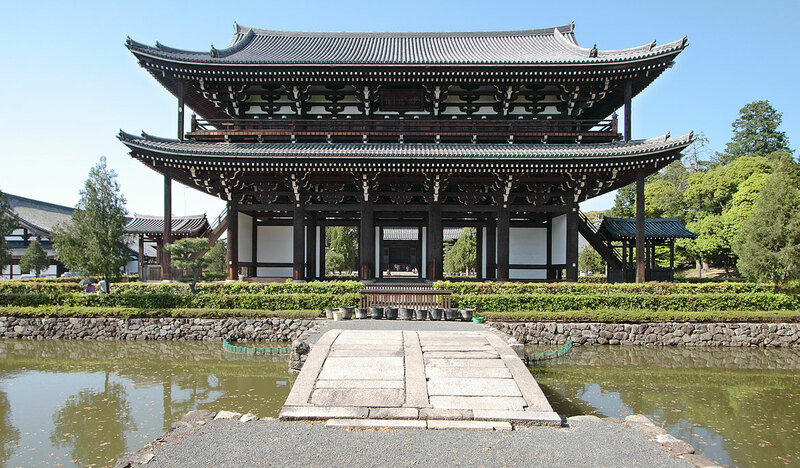 Daihonzan (Head Temples) “Tofukuji Temple” is the oldest temple in Japan, and is called the largest Buddhist monastery. 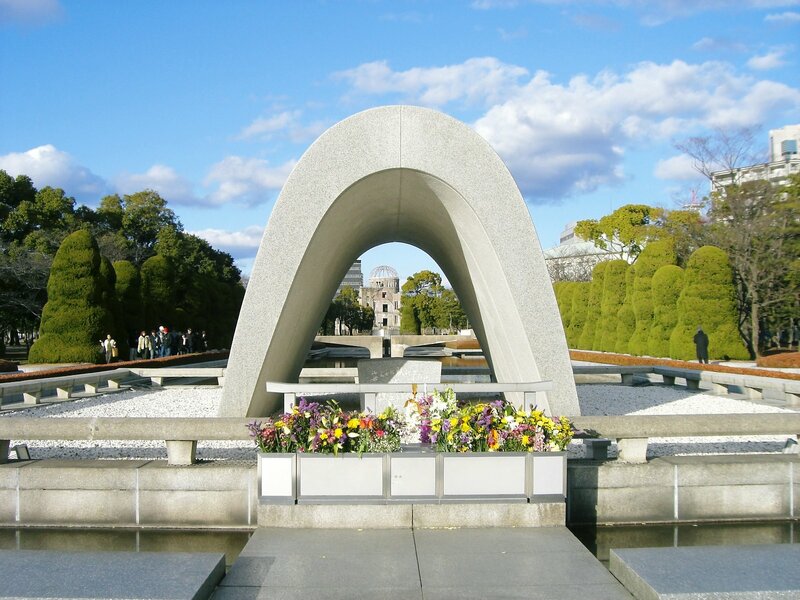 It’s only one stop from Kyoto Station, there is “Tofukuji Temple” which is famous for its autumn leaves. Many tourists come every year from the whole countryduring the fall foliage season. Many famous gardens are seen in a Hojo of the Zen sect for a long time, the Hojo of Tofukuji Temple is unique, there are gardens on four sides. It is a Karesansui style garden made in 1939 by Mirei Shigemori. The garden of the south side expresses a rough sea of Hakkai (eight seas) by a ripple mark, and Shisen-jima (four islands) by a huge stone. The Komyoin temple is said to be “Niji no Koke dera” (the moss temple of the rainbow) and has the garden which set a stone between the white sand and moss. This is a work of Mirei Shigemori who is the expert of the gardening of the Showa, too. The colored leaves of the maple more than 2,000 in full glory in the precincts are superb views. 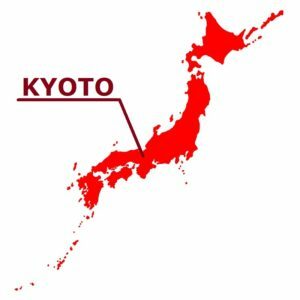 It is especially the famous spot of outstanding colored leaves in Kyoto. 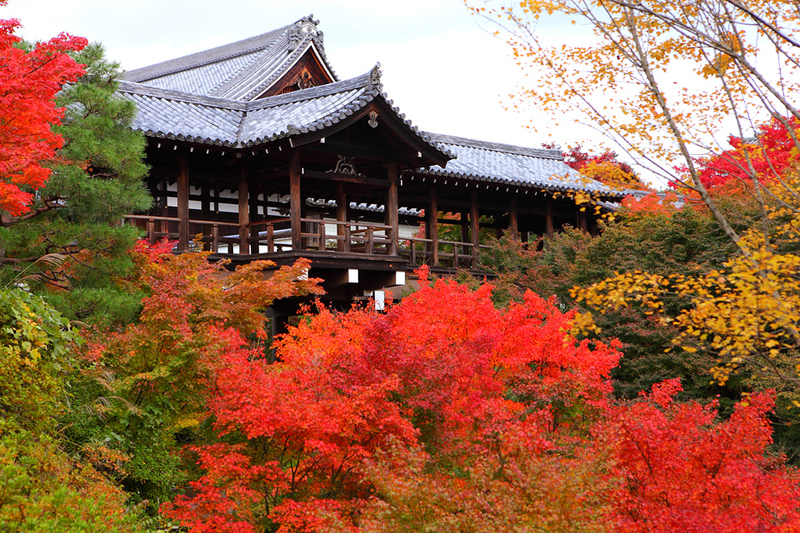 The best position to see the colored leaves of Tofukuji Temple is the Tsuten-kyo Bridge. The Tsuten-kyo Bridge, where you can enter by paying 400 yen as admission fee, is the most popular colored leaves spot in the Tofukuji Temple.